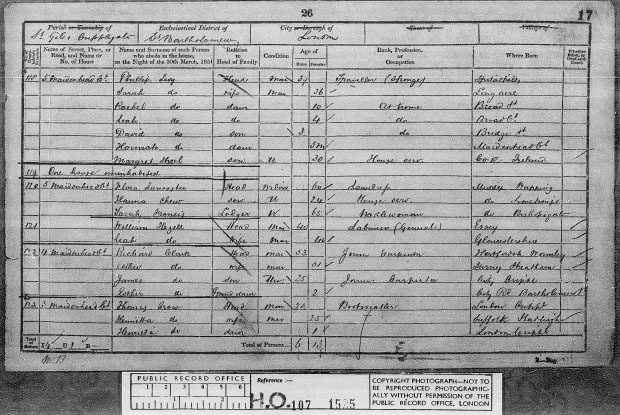 We hope that the following pages will help you in researching your family tree. We specialise in the Census of England and Wales, with Street Indexes to accompany the major towns and cities. We also cover City Centre Street Maps from the 19th Century and a large variety of old Trade Directories and similar publications on CD. See S&N Genealogy Supplies Main Site for more CDs, software, books and specialist binders. As of the 8th June 2007, Stepping Stones has become a trading name of S&N. S&N have taken over the product range and will be adding many new titles, whilst continuing to produce the current ones. Click here to view the current newsletter, if you would like to receive our newsletters go to S&N Genealogy Supplies and sign up.